Ring doorbells are smart, easy to install and add a lot of security to your front door. Porch pirates are hopefully beginning to be smarter after seeing doorbell cameras and hopefully staying off your porch if they know they are on camera. 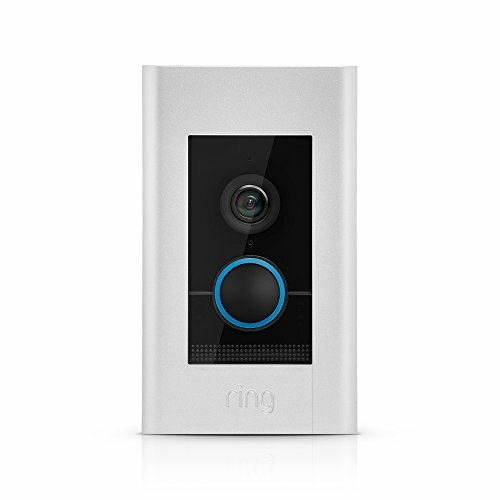 Ring is one of the largest manufacturers of doorbell cameras and offers a few options from which to choose. 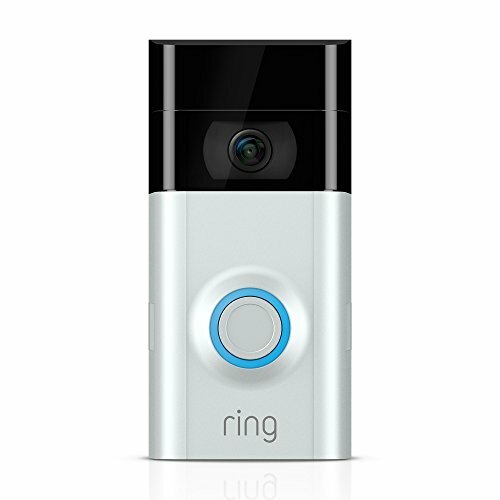 We looked at their pricing to find the cheapest ring doorbell. 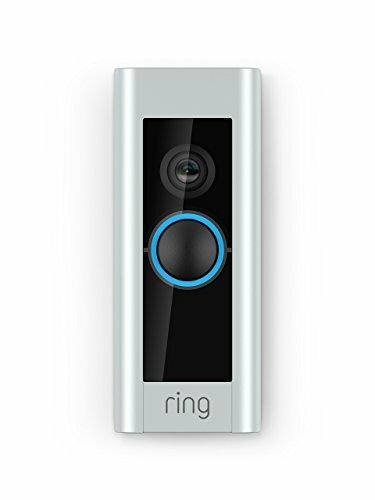 At $141.99, the Ring Wi-Fi Enabled Video Doorbell is the cheapest ring doorbell. The Ring Wi-Fi Enabled Video Doorbell in Satin Nickel (also offered in polished brass, Venetian bronze, and antique brass to match your door handle) can be purchased for 21% off its $179 list price saving you $37.01. This doorbell connects to a smartphone app that's free to download that Ring developed and sends you instant alerts when you have visitors. The app is available to Apple iPhone and iPad users using the iOIS app, as well as Mac and Windows 10 devices. The camera works great in the day and well in the night with infrared night vision. It also comes with two-way audio so you can essentially answer your door whether you're at home but occupied, at work, or on vacation. Where visitors cannot see you but can hear you, they have no way of knowing where you are. Video is captured in HD 720p. It's not the best, sharpest resolution, but it's still much better than most video footage you might see on the news from a 7-11 robbery. We've seen this specific doorbell deter would-be package thieves away when they are confronted by the homeowner using the two-way speaker (like in this blog post). You don't need existing wiring to set this doorbell up, although it can also run on existing wiring. This doorbell comes with improved resolution to its camera giving you clearer images of those on your doorstep. 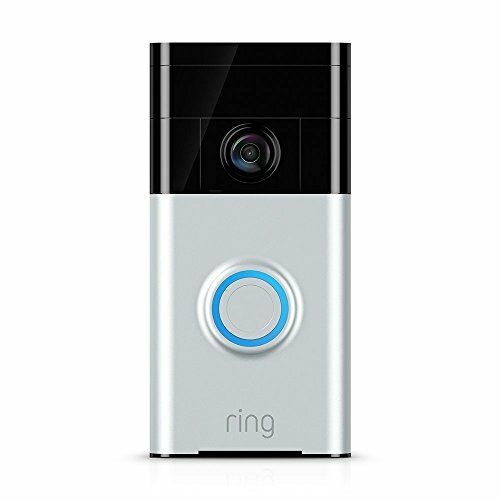 It's a bit larger than the Ring Wi-Fi doorbell listed above, and it also has a wider verticle lens that can capture 90 degrees of verticle footage which is helpful in picturing both your packages and the full body length of your visitors. The Ring Video Doorbell 2 comes in fewer finishes – just Satin Nickel and Venitian – but captures video in HD 1080p vs. the cheapest ring doorbell's HD 720p video resolution. This doorbell comes with improved resolution to its camera giving you clearer images of those on your doorstep. Unfortunately, you must have a wired doorbell installed or wiring to connect and install the Ring Video Doorbell Pro. A big advantage of the Ring Video Doorbell Pro is its customized motion detection zones. Where Ring's cheaper options provide 5 different zones and sensitivity levels to choose from, the Ring Video Doorbell Pro's motion detection software and functionality are more advanced which might be valuable in getting fewer false reads or false alerts, especially for those who have a lot of activity that happens near but not on one's porch. This premium version of Ring's doorbell options comes with improved resolution to its camera giving you clearer images of those on your doorstep. It isn't wired to your doorbell with doorbell wiring but is powered with an Ethernet connection for added security. It has all the features the Video Doorbell Pro but connects with Ethernet.